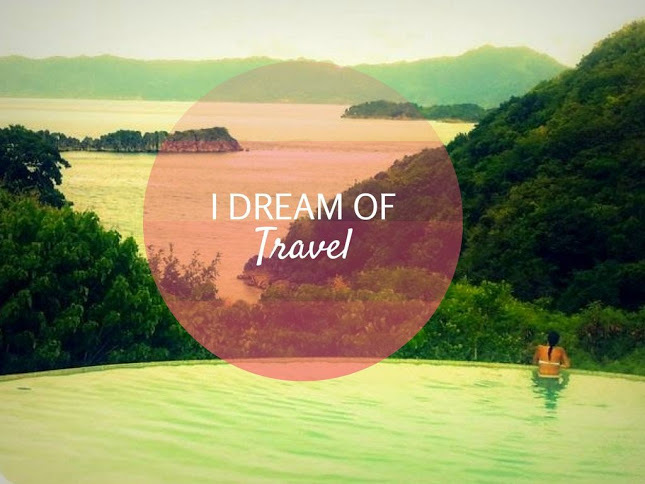 What Happens When We Dream of Travel? I don’t know about you, but nothing keeps me going more than the thought of travel. I live to travel. I travel to live. I also happen to have a very vivid imagination. And while my imagination can run wild at times, they have taken me to far flung places and made things happen. It’s always been believed that the opposite of dream is reality. While it is true, le’ts not forget that they go together well. And that they’re not entirely opposing either. Because dreams are based on reality. Or your spin on reality. And that moment of reality (when you are finally travelling) , is an offshoot of your dreams. So recently, Zombie and I were in Perth to fulfill a dream weekend. A few months ago, I was asked (along with other bloggers in Australia), what my dream weekend in Perth would be like. I’d just watched the Oscars then. And best supporting actress Lupita Nyongo’s resonating “Youre dreams are valid!! “(echo: valid…valid… valid…) speech was fresh. So I imagined a very vividly action packed weekend. Now when people say “Be careful what you wish for..”, I don’t really relate so much. Because I only wish for a few specific things, and they are things that I’ve really wanted all along. 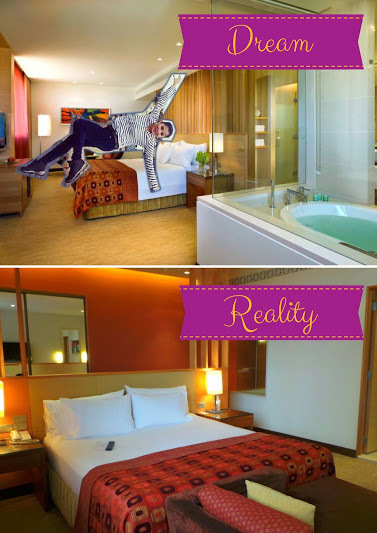 I’d already written in great detail about how my weekend went , but I wanted to show you how the dream fared vs reality. I dreamt of this only because I know that I will be doing a lot of things in Perth and that at the end of the night, I would like to crash into something nice. (this is pretty much my travel philosophy overall) The reality: Not only did I get a king-sized bed, but also one that is on the exclusive Pacific Club level. A perfect example of reality exceeding the dream. Now this is when my imagination and enthusiasm got the better of me. I was in Rottnest Island in the middle of winter so I mostly huddled inside rock formations. But the island offers totally different adventures during winter and summer. But then again, I’m a summer person so most of my dreams are based around warmth and sunshine! Alright, I’m guilty of overdreaming this one. 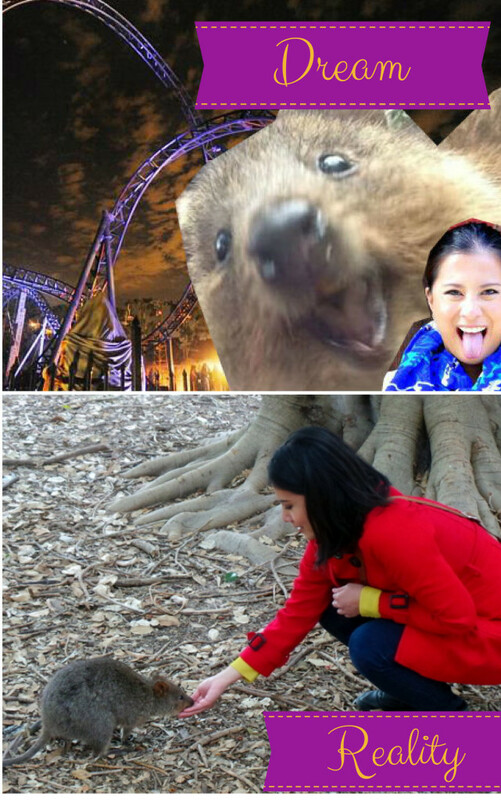 Becuase I planned dreamed of taking a Quokka to a theme park. And after enjoying a ride on the roller coaster, the quokka advised me we are now on first-name basis. So I called her Lupita. In reality, it took me a fair bit to see a quokka in Rottnest Island (but if you go to the right spot, they are everywhere!) And they are very very cute indeed. But the glaring reality? Well none of them really smiled enthusiastically like that. It was I who was smiling maniacally the whole time actually. 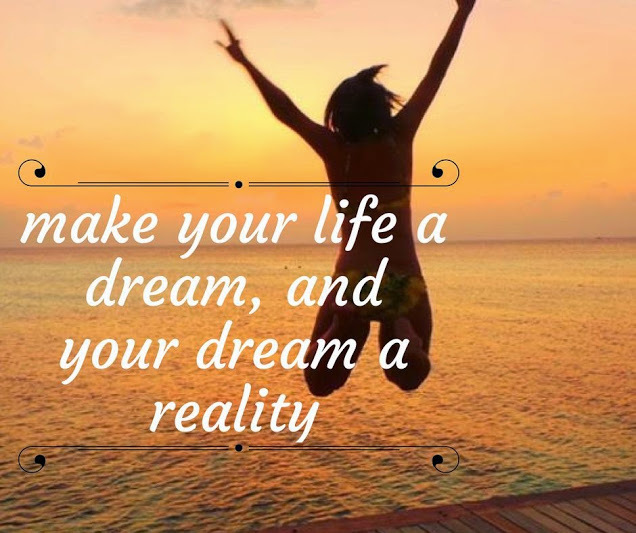 The general takeaway of this post is to keep dreaming, but also to continue or start acting upon those dreams to make them to reality. It’s abit unrelated, but writing this post reminded me of an email I received last year. Someone asking about my lifestyle of travel, and saying that he himself prefers reading by way of travel as ‘travelling’. While I appreciate and respect everyone’s cup of tea, that just makes me sad. I myself love to read. But until we travel to those places, and see things with our own eyes, then can we only create our own opinion and thoughts. Seeing a place once is still better than having read or heard about it a thousand times. To those who work hard to make their dreams (be it travel, lifestyle, career , or health) a reality — a big CHEERS and hats off! My Very Vivid and Valid Dream Weekend in Perth Perth for the Long Weekend! 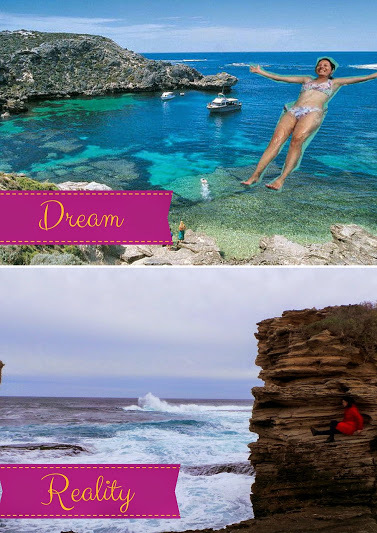 Exploring Rottnest Island: The Wild (life) Side of Western Australia Skydiving in Perth: The Thrill of Freefalling from 15,000 feet High! Perth Hotel Review: The Pan Pacific Perth Picking the Right Travel Bag : There’s One for Every Travel Occassion! “Now this is when my imagination and enthusiasm got the better of me. I was in Rottnest Island in the middle of winter so I mostly huddled inside rock formations.” Ha! This literally made me LOL. So funny! And so true. I think it starts with dreaming, but that isn’t where it should end. I love.love.love that you have your dream and your reality. 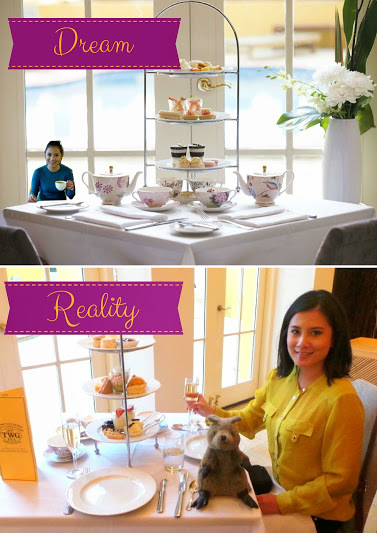 I’m sorry that you and the Quokka didn’t become best friends, but at least you got to enjoy afternoon tea full size! Hi Ann, haha thanks 🙂 Yup, dreaming is definitely important (as without dreams we’d be soul-less!) but like you said, it shouldn’t just end or remain like that (just dreams). Hi Tony and Laura, as always thank you very much for your inspiring and kind words! Tony good on you for showing Laura the world! That’s one of the best gifts ever. I’m quite positive after your Thailand and Bali trip, she’d be hooked on the travel fever. Once you start, it’s hard to stop 🙂 But travelling as a couple is really great, you both get to see the world together and you will learn things about each other too. So glad to hear that the blog has inspired you to travel, really so glad 🙂 With that much worth of photo and videography gear dont forget insurance! The Happy Snapper and I are excited to see your footage, we will be learning from your videos for sure! Jan 2015 – not too long now! Have just found your blog via NQN, and what an inspiring blog it is. Thank you, I feel like I am banging my head against the wall sometimes when I say to people that they can have ALL their dreams, or if they don’t believe they can have their dreams, they should boo mine down. Anyways I love that your dreams become reality. 🙂 Happy Thursday to you. sounds like your Perth trip lived up to your expectations – its wonderful when that happens! Hi Jean, I do love a bit of dreaming and have time and space for armchair travelling too. I have four kids at school so travel opportunities are limited really BUT… off next week and then the week after too – yippee! And I agree 100% with you… actually being somewhere is so different to reading about it or even seeing photos. You just can’t really tell what a place is like until you’re there with your own two feet on the ground. I’ve had some good times in Perth, with kids a couple of times but best of all years ago when young, free and single, I was there for three weeks researching a little travel guide. Too good! I absolutely loved New Norcia, a drive away… man, must get back over there again one day. Hi Seana, absolutely agree. It’s not practical for everyone to always be out and about living the dream fulltime (though I do envy some who do! ), so yes I do a balance of armchair/tv travelling too but I know that seeing on tv and reading (or hearing about it) is not the same. I do take for granted that not everyone thinks the same as we do because I also come across people who, when talking about a place or giving their very heated opinion about it, you’d think that they’d actually been there. And only when asked would it be revealed like “oh, well I heard from a friend” or “I watched a documentary about it”. Hey great article! 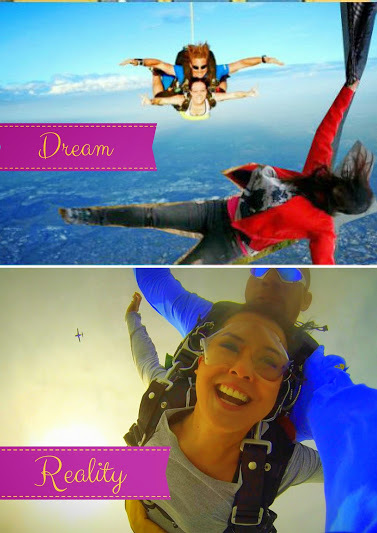 Espcially love your dream of skydiving – that image is hilarious! Not sure I could make that a reality myself (far too chicken for that!) but looks like you had a blast all the same! Hi Katrina, thanks for sharing your experience and success in using travel (or even thoughts and dreams of travel) as a way to get by the doldrums of daily life. I do that too! We all need goals (be it travel, work, relationships, health) to look forward to. Yours is an example of how far the power of imagination can get you. Congratulations and keep on travelling!